Chances are, when you first started dreaming of becoming a teacher, your vision did not include excessive meetings, lots of data collection, and a clutter-filled classroom that caused you even more stress. 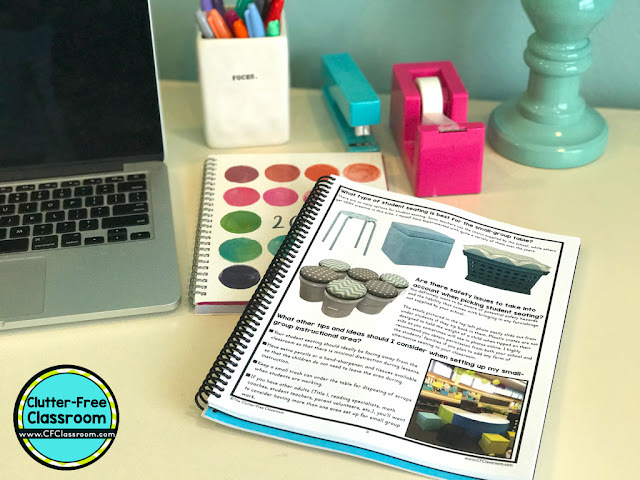 Even if you were not picturing yourself as the proud owner of a space that looked like something Martha Stewart, Pinterest and Joanna Gaines collaboratively created, I would put money on the fact that you didn’t imagine frantically trying to find your students’ homework packets under the stack of assessments you didn’t have time to correct because you were too busy looking for the lesson plans you had placed down…somewhere. And you certainly didn’t imagine you would be repeating this same scene every. single. day. for the better part of the school year. A) staying later than you would prefer each afternoon (or let’s be honest, each evening)? B) walking into school each morning and feeling defeated by the site of your classroom before the day even begins? C) feeling frustrated and embarrassed by the condition of your classroom? D) not enjoying the time with your students as much as you should? You certainly are not alone. 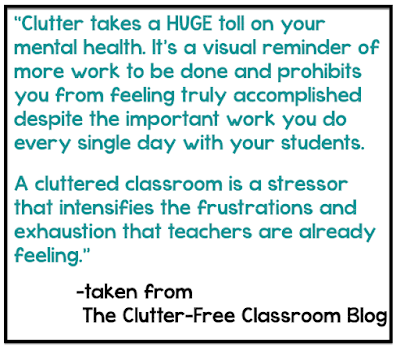 The majority of teachers I speak with all report feeling overwhelmed, and more often than not, a cluttered and disorganized classroom is a huge factor weighing into their stressful days. I’ve been running workshops, presenting at conferences and consulting with teachers 1:1 for over a decade (you can read about that here) on the topics of Classroom Organization and Management. When working with teachers to get their classrooms decluttered and organized I always advice them to follow these ten systematic steps. 4. Know where your clutter will go. 6. Make a clean sweep. 7. Schedule time to work on the space. 8. Work through the decluttering process. 9. Organize the items that remain. 10. 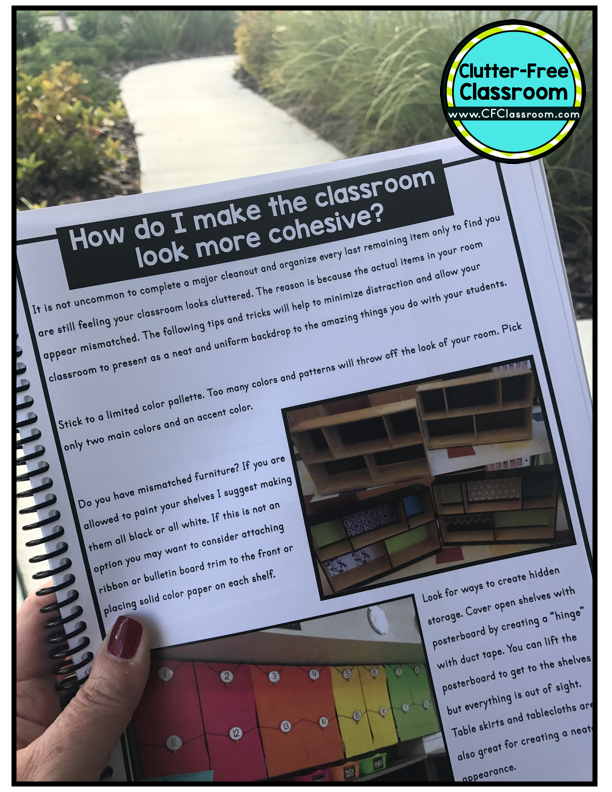 Create systems to maintain your new clutter-free classroom. 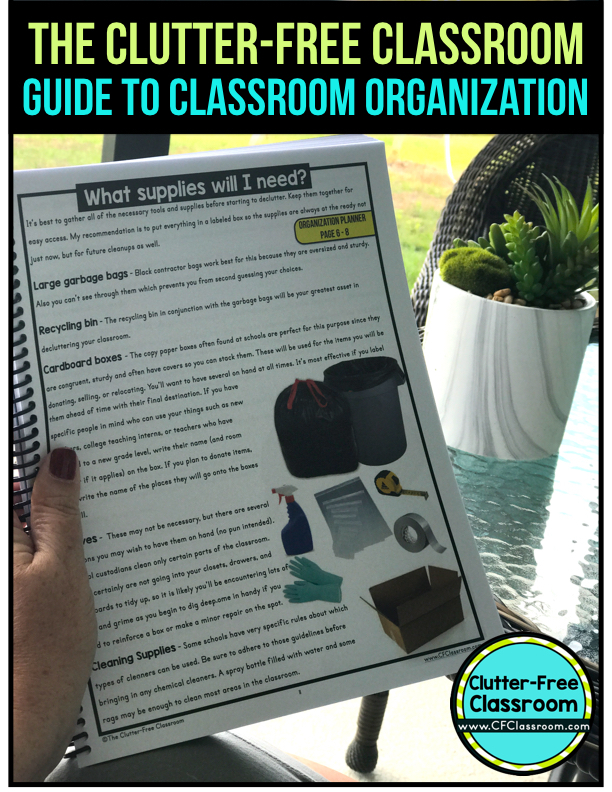 Each of those steps are explained in detail in my recently updated eBook, A Clutter-Free Guide to Classroom Organization. 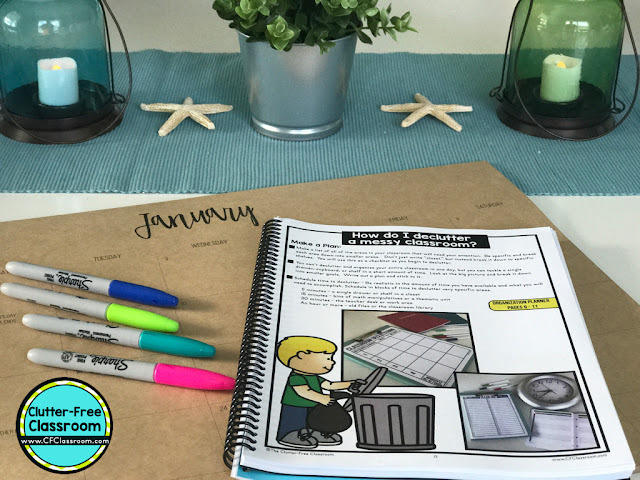 The guide also comes with lots of printables to help you get and stay organized. 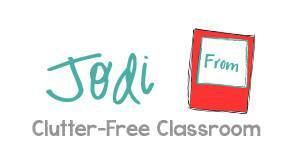 In addition to that resource, I am excited to announce that for the first time since 2012, I will once again be offering free coaching on how to declutter your entire classroom and would love to have you join me. 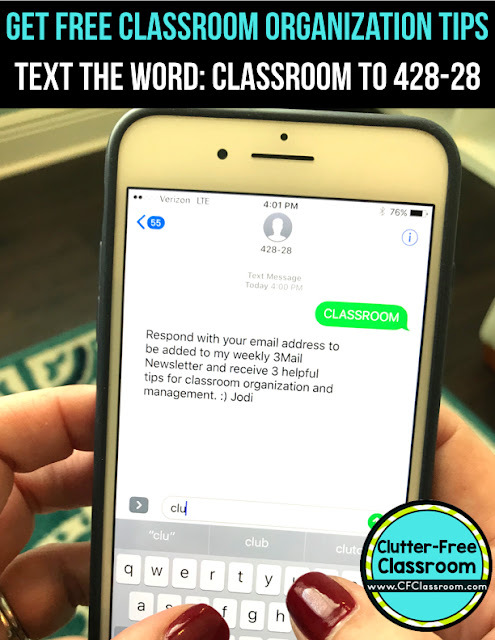 Just text the word "CLASSROOM" to 428-28 and follow the prompt to receive lots of tips, ideas, and free printables to take your classroom from cluttered to organized.